Tiron C.M. Pechet, M.D., is the Assistant Medical Director of Shields Radiology Associates and has been a member of Shields since 1996. Dr. Pechet received his undergraduate degree from Harvard College and his medical degree from Harvard Medical School. He completed his internship in surgery and medicine at Newton-Wellesley Hospital and his residency in radiology, followed by a fellowship in general diagnostic radiology at Lahey Clinic. 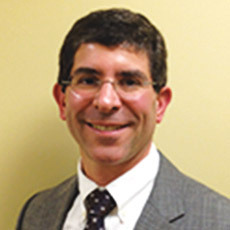 Dr. Pechet is a member of the National Council of Medicine and the Advisory Committee to the Department of Health Care Policy at Harvard Medical School. He is also a member of the American College of Radiology, Radiology Society of North America, American Roentgen Ray Society, and Massachusetts Medical Society. Dr. Pechet is certified by the American Board of Radiology.